We understand that your needs are not the same as the last customer’s, and we are careful to match these needs with a lending solution that is a great fit for you. Having been in banking and mortgage broking for as long as we have has developed a range of skills and experience that can assist you to reach your property goals. Whether you are buying a property for the first time, or you are a seasoned property investor, we have the experience to assist you. Nothing makes us happier than finding a great deal for our customers – it’s what gets us out of bed every morning! We have seen it time and time again – the broker that helps with the customer’s current ‘deal’, and then moves onto the next customer, looking for that next elusive commission! And like you, we think it’s downright unprofessional! We understand that your needs change over time, and we can assist you wherever you are in the property cycle. We have assisted many repeat customers as their needs have changed, by staying in touch to ensure we are on hand when they need us. Many large mortgage broking firms (it wouldn’t take you long to think of the names of the big guys!) rely on a sheer ‘numbers game’ to survive – they pump through a large number of customer meetings, glossing over the details and not investing the time that complex lending may require, in the hope that a small number of customers may stick with them! Well, ‘churn and burn’ we are not! We help our customers every step of the way, from that crucial first meeting where we work with you to understand your needs, to your exciting day when your loan is settled…and beyond! We know the importance that our customers place on independent advice, and this is exactly what we give. Energise Home Loans is independently owned, and is not affiliated with any lenders. We recommend lenders based only on the best fit for you and your needs – every time. We have an extensive range of lenders, and a number of loan products from these lenders. Rather than you reviewing all of these yourself to sort through the best product and deal for you, we do this for you, using advanced lender software to ensure the right choice for you. We go to great lengths to ensure we are delivering the level of service that our customers are looking for. We regularly survey recent customers for feedback on their experience, and consistently receive positive feedback on the service we deliver. We take your privacy very seriously, and will never share your personal details with a third party. 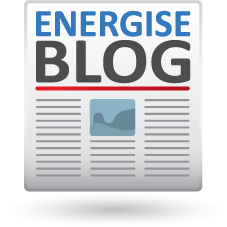 Why Use Energise Home Loans? We use our extensive experience and professionalism to offer a great lending experience to every customer we deal with. We’re so confident in our experience, we guarantee it! We offer a comprehensive service, taking into consideration your individual needs, and match this to the loan that’s right for you. Personal We offer a completely tailored service to meet your individual needs – we’ll never treat you like a number! Contact us for assistance with all of your home loan needs, and an experienced Energise Home Loans mortgage broker will be happy to assist you every step of the way.